Jeremy Murphy and Mike Aucoin never planned on ending up in the travel business. But a common need led the duo to the creation of TheSuitest, an online data cruncher that delivers comprehensive and dynamic hotel searches. Murphy is a former quantitative analyst and risk manager, engineering a risk management system and asset allocation system. Aucoin also worked in the financial world, where he used his computer savvy to decipher complex data sets. Through their business travels, Murphy and Aucoin found that online hotel search engines left a lot to be desired for upscale travelers. Hotel search engines could comb through pricing and locational data but did not consider and compare room amenities like TV size, Wi-Fi price, and room size. Travelers, they felt, had to spend too much time conducting overlapping searches to retrieve that information. “After working in quantitative finance for several years, I knew that a powerful valuation model could solve overlapping problems,” says Murphy. The concept for TheSuitest was born from the financial algorithm software Murphy and Aucoin built and oversaw. They created a platform that analyzed the raw data they felt was missing from hotel searches. 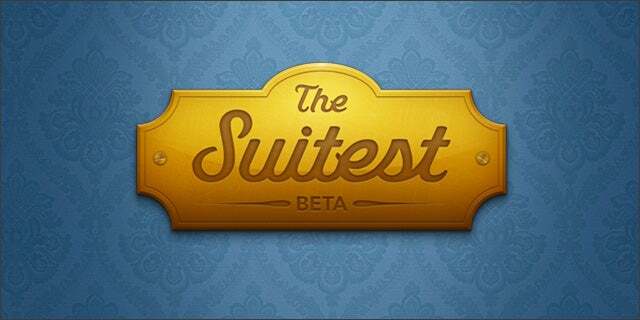 TheSuitest algorithms were created to sift through and rate hotel room data that covered availability by date, location, pricing, and the granular room characteristics, such as bathtubs, views, balconies, square footage, TV size, hidden Wi-Fi charges, and furnishing options. To accomplish this, Murphy and Aucoin needed to collect mammoth hotel data for their algorithm to crunch. Instead of transporting this data from external sources, the two founders knew they would have to get their hands dirty. “We found that all third-party sources were either woefully incomplete or teeming with mistakes,” Murphy disclosed, “which we could not tolerate when calculating pinpoint-accurate values for rooms.” Murphy, Aucoin, and the rest of their TheSuitest team decided that a marriage of automated data transfer and human data retrieval and input was the best foundation to build their database on. TheSuitest was a showcased startup at our Tech Cocktail Los Angeles mixer.